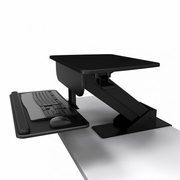 Atdec Sit to Stand Workstation, quickly turns any desktop into a sit to stand workstation. Desk clamp installation. Weight capability 28.6lbs including monitors and other accessories. Adjustable gas strut assistance for smooth height re-positioning. Integrated keyboard and mouse tray. Desk clamp supports desk up to 2.95" thickness. 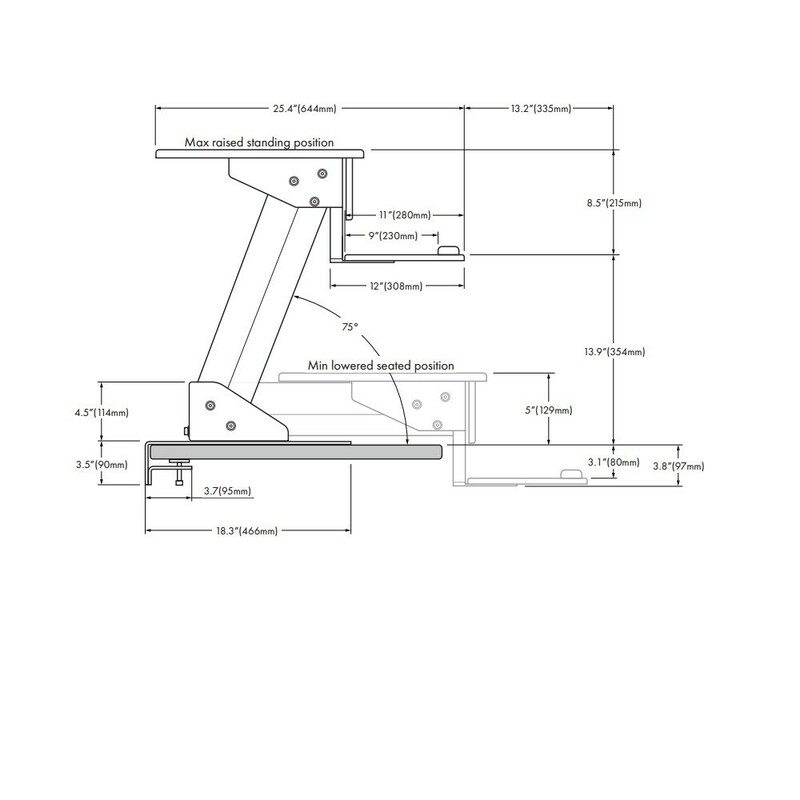 Clamping bracket can be adjusted in 2" increments back to front for the optimal positioning. 27.2 x 21.7 x 6.5"